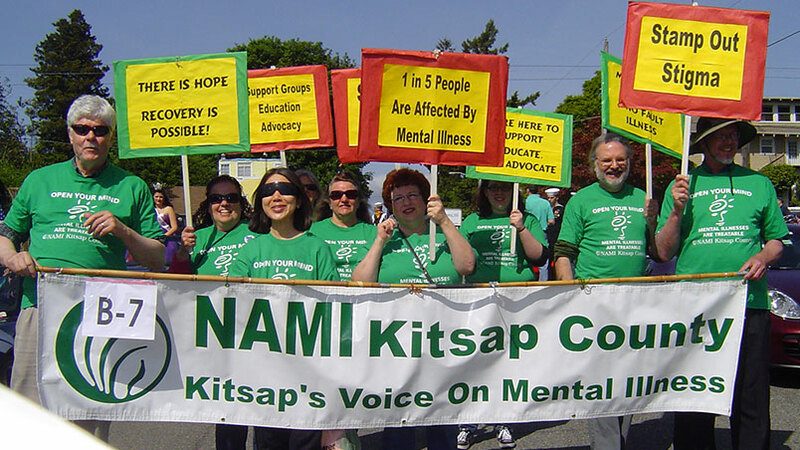 Nami Kitsap County – National Alliance on Mental Illness. NAMI can help you! Do you or someone you know have a mental illness? Do you or they feel alone or isolated with this problem because of the social stigma attached to it? Would you like to talk with someone who understands and can give emotional support? Do you want information concerning services for citizens with a mental illness? 4/5/2019: added NAMI Kitsap April 2019 Newsletter under Newsletters / Articles tab. The mission of NAMI Kitsap County is to improve the quality of life for individuals with severe mental illnesses and their families. We are dedicated to providing education, support and advocacy for persons with mental illnesses, their families and the wider community.